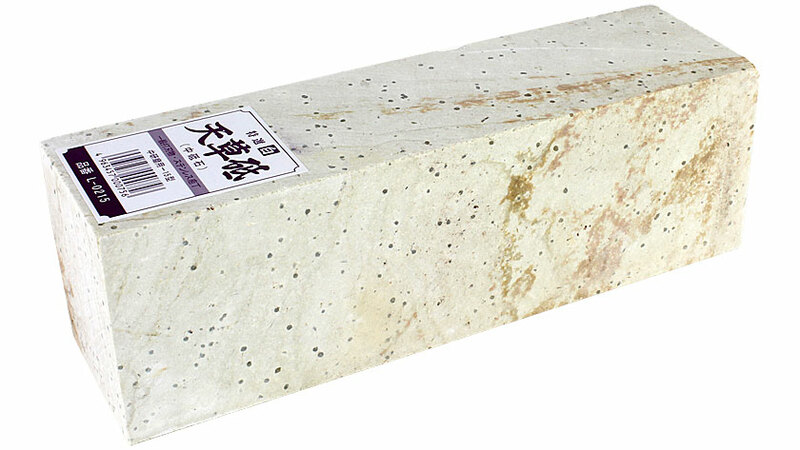 The southern Japanese main island of Kyushu still has two extraction sites for natural sharpening stones. One is located near to the volcano Unzen-dake in the prefecture of Nagasaki. The second - not far from the first and only separated from it by the straits of Hayasakiseto - is on the island Shimoshima, close to the town of Amakusa in the prefecture of Kumamoto. 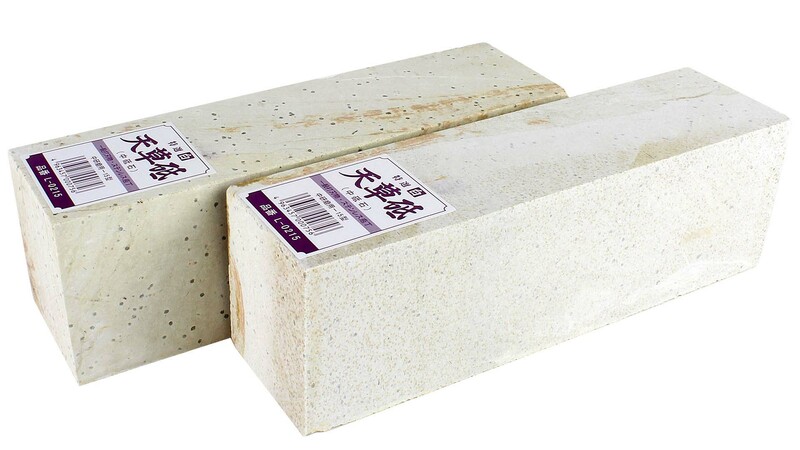 These sharpening stones are each named according to their provenance. 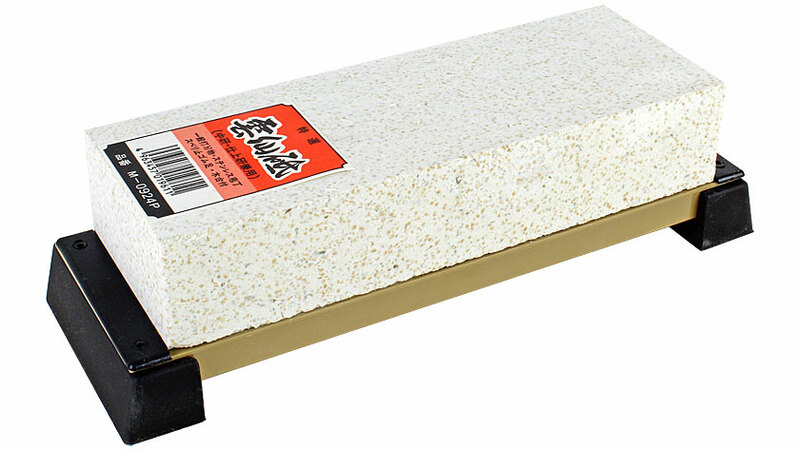 It is not possible to assign an exact grain size to these natural sharpening stones; that is why we prefer to give a grain size range which must be understood as an approximation. 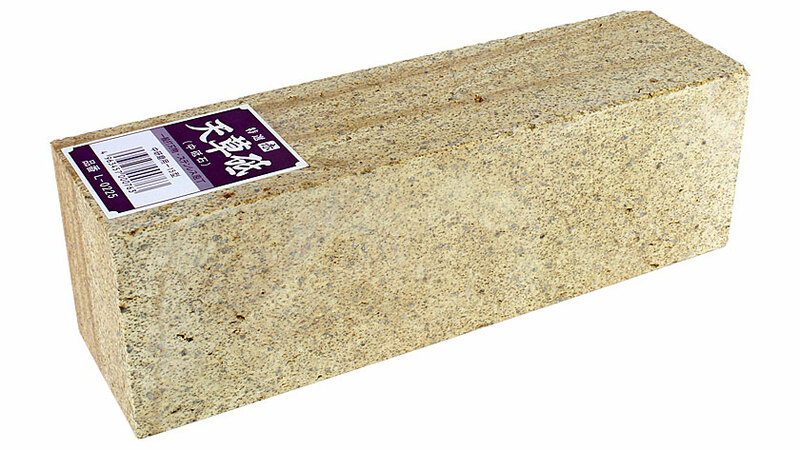 All stones have neatly cut rectangular faces. The batches we receive from Japan may differ in colour and texture from stones shown on this page, depending on the geological layers from which they are quarried. 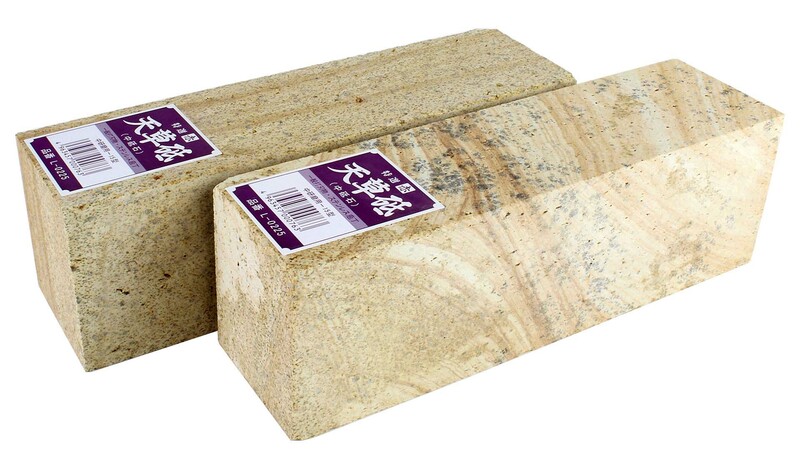 On the whole these stones are inexpensive and as such a good starting point for sharpening with natural stones. 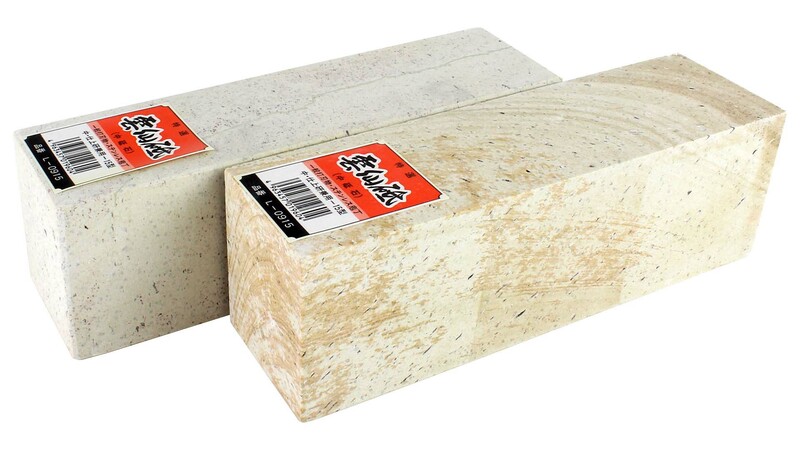 The stones are also relatively tolerant as to the type of steel you are sharpening - you can sharpen both carbon steel and rustproof steel blades. The stones on this page all have a medium grain. To hone, follow with a stone of grain 3000 or higher. Damaged edges or corners, occasionally several millimetres in length, are normal for this type of natural stone and should be tolerated; they are not detrimental to the sharpening function. The colour designation "white" or "red" is more a trade name born of tradition with little bearing to the actual colour.